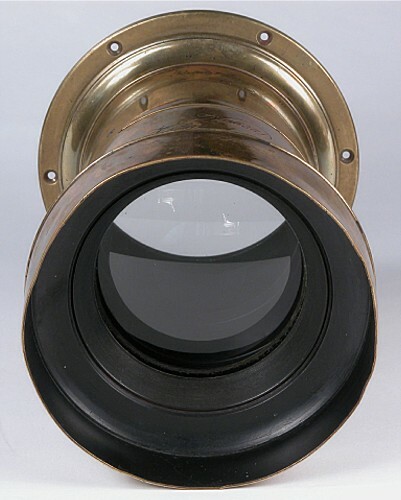 This large antique Voigtlander brass portrait lens measures approximately 7 3/8 inches x 5 inches, or 185 x 120mm. The original mounting flange is included. 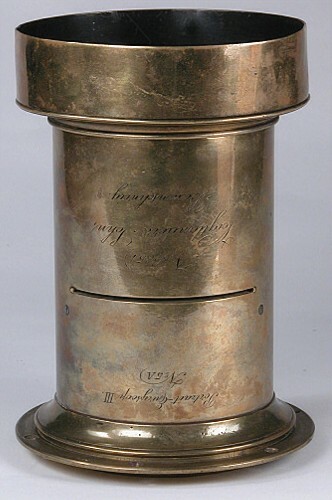 The brass has not been polished and has its original patina. The lens hood is not perfectly round, but it is not badly dented either. Although the lens could be easily restored, I don't think this is necessary. The lens is slotted for Waterhouse stops, but none are included. 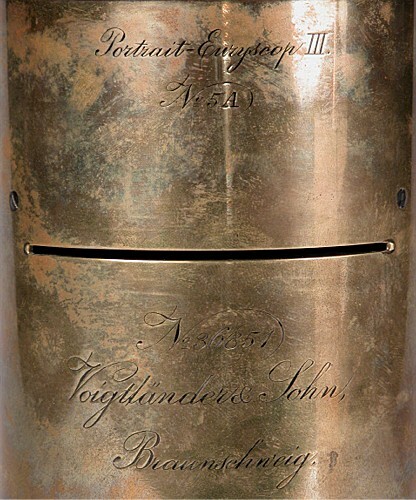 The serial number is 36851, dating the lens to 1889. The focal length is approximately 14 inches or 350mm. The glass is in excellent, clear condition with just a few minor cleaning marks to the front and rear elements. The lens projects a brilliant and clear image on an 8x10 inch camera. Coverage appears to be greater than 8x10 inches. This lens was offered for sale/trade. It is no longer available.